Most of the time, the cause of scoliosis is unknown. This is called idiopathic scoliosis. It is the most common type. It is grouped by age. In kids age 4 – 10, it is called juvenile scoliosis. In older kids age 11 – 18, it is called adolescent scoliosis. 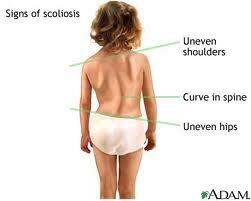 Scoliosis most often affects girls. Some people are just more likely to have curving of the spine. Curving generally gets worse during a growth spurt. Cure your back pain now!